Posted on October 30, 2018 by Elizabeth E.
If you could scroll down for just a second and locate on the right blog sidebar where there is a link to a video titled Create. This was taken from a talk from one of the leaders of my church, and if you are not a religious type, then substitute in your version of God for what Elder Uchtdorf says. I watch it everyone once in a while to remind me that what I do is more than stitching, or cutting up pretty cloth. 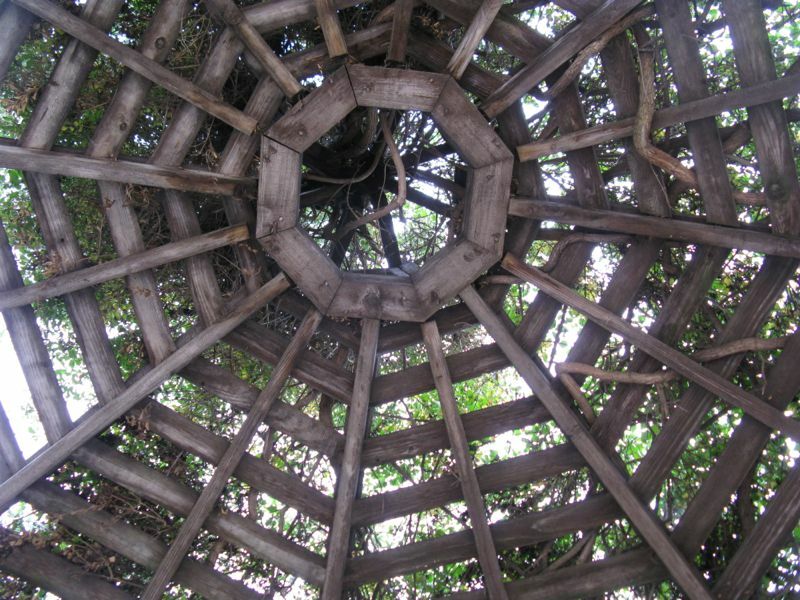 Being creative is my connection to — and a conduit for — the divine. 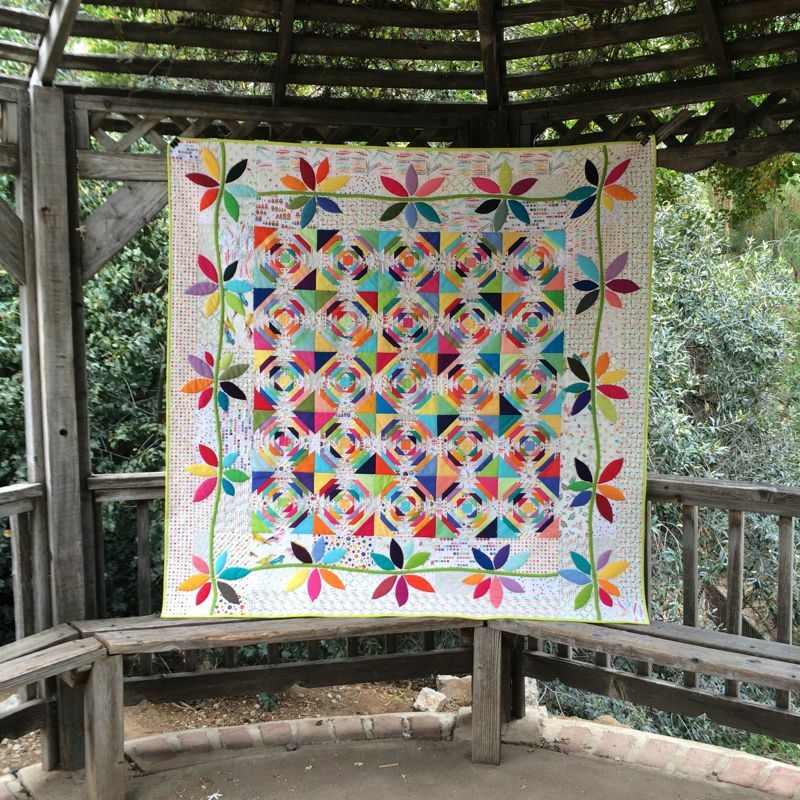 I had an inkling of the power of a lot of creative women, when I attended Becky McDaniel’s class for her Crazy Cushion pattern. Yes, there was fatigue and frustration, but there was also a spirit of wanting to create (above, watching a demo). My workspace. I had a nice visit with the two quilters at my table, Sandie and Marie (absent), and was totally impressed with the women in the Nite Owl Guild. 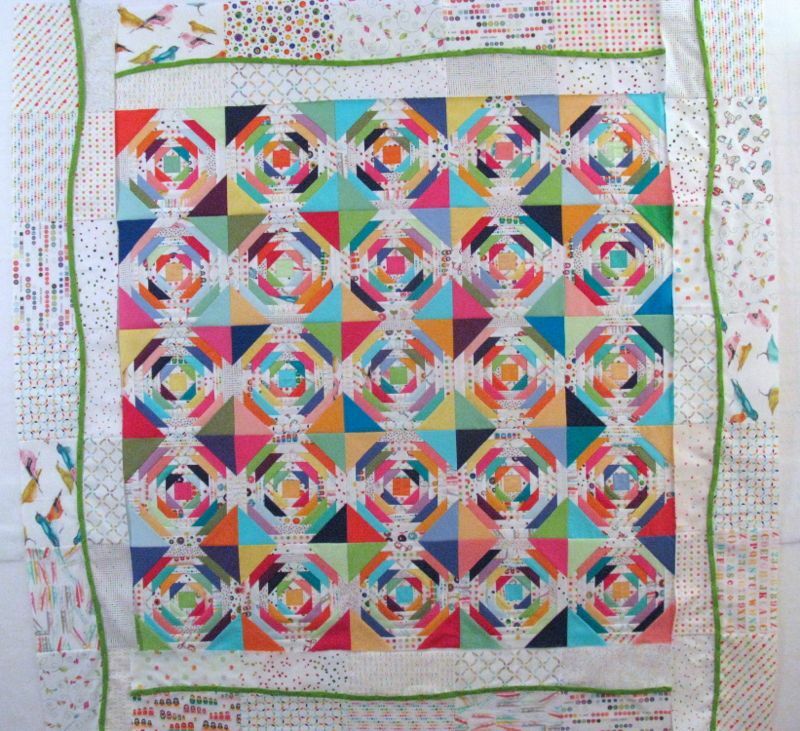 Becky was energetic, funny and taught some new skills: like working with a light table while paper piecing, and we all promptly handed over our cash to buy her cool flat light table, while stories swirled around about the light tables we had at home. Yeah, we weren’t in this room, but the ping-pong table was. The class was held in the Senior Center for a nearby town and was a great place to have a workshop. Below, Becky’s table of supplies. 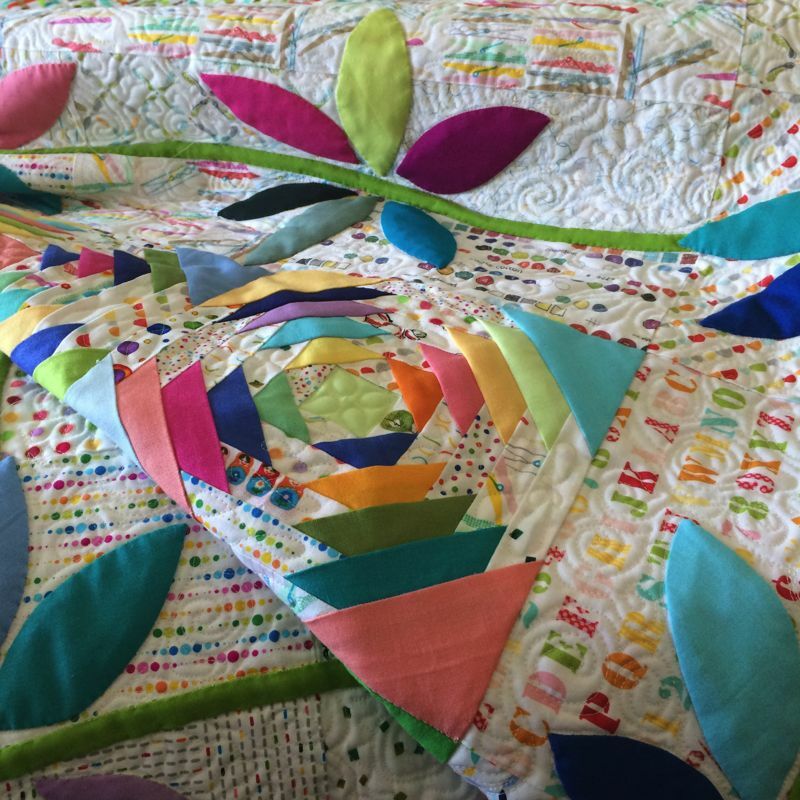 Even though I had all my sections pre-pieced, at this point I felt like I’d run a marathon, just getting that welting stitched in between the flying geese band and the cushion top/back. The band includes a handle for carrying (seen serpentining in the photo above). More than one use for those binding clips. Because of all my sewing beforehand, I was able to finish my cushion. Above, the photo with Becky McDaniels. I posed my cushion with hers (the larger of each). 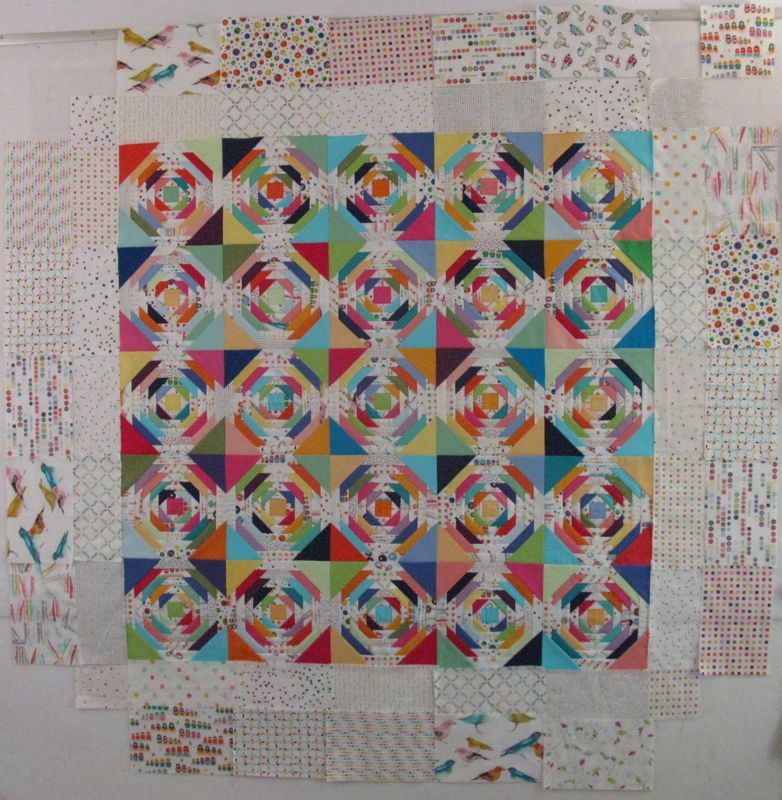 Mine measures 14″ x 2″ and hers is 16″ x 3.” If you decided to take this class, do your homework beforehand, if you have done paper-piecing before, so you can have a finish, too. And then outside in their gardens, before leaving. Now I’ll have something to sit on when I go to workshops! 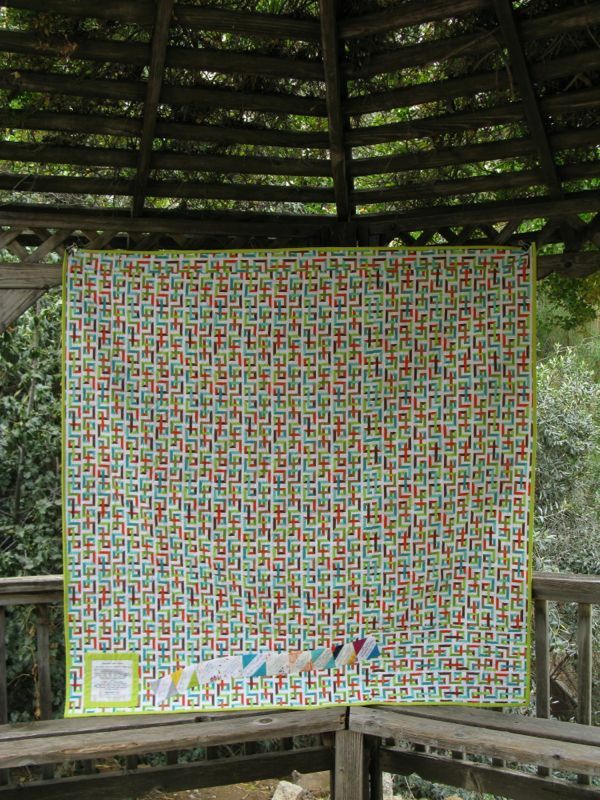 The pattern can be found on her website, along with more information. Kaffe Fasset fabrics recently purchased at Blue Bird Quilt Shop, near me, including that cool stripe. 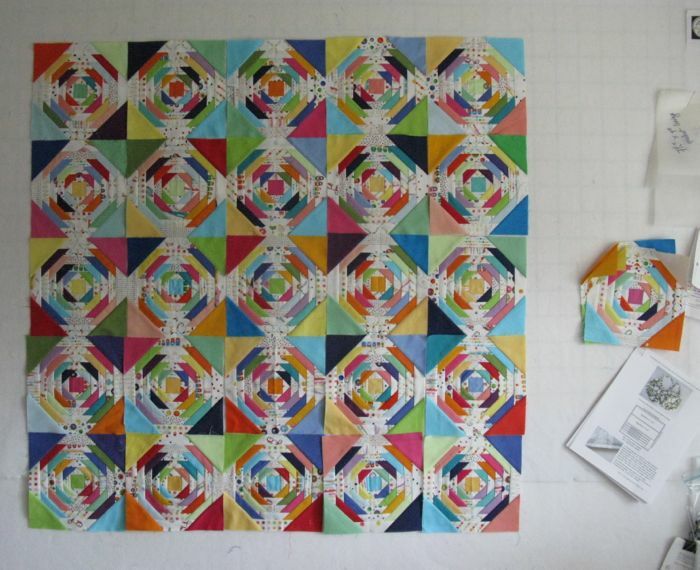 I use transluscent vellum paper by Neenan for my paper piecing because I can see through it and it rips off easily. I purchased a ream about 10 years ago from Kelly Paper, and it cost way more than I wanted, but hey–10 years use? Not bad. 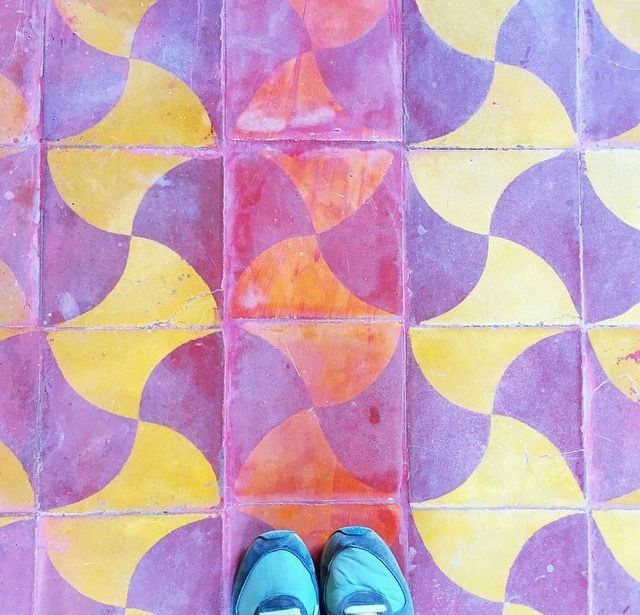 Posted on April 15, 2015 by Elizabeth E.
So it all started with this photo, from the Instagrammer JillinItaly, a small sweet shot of tiles on a Moroccan floor. 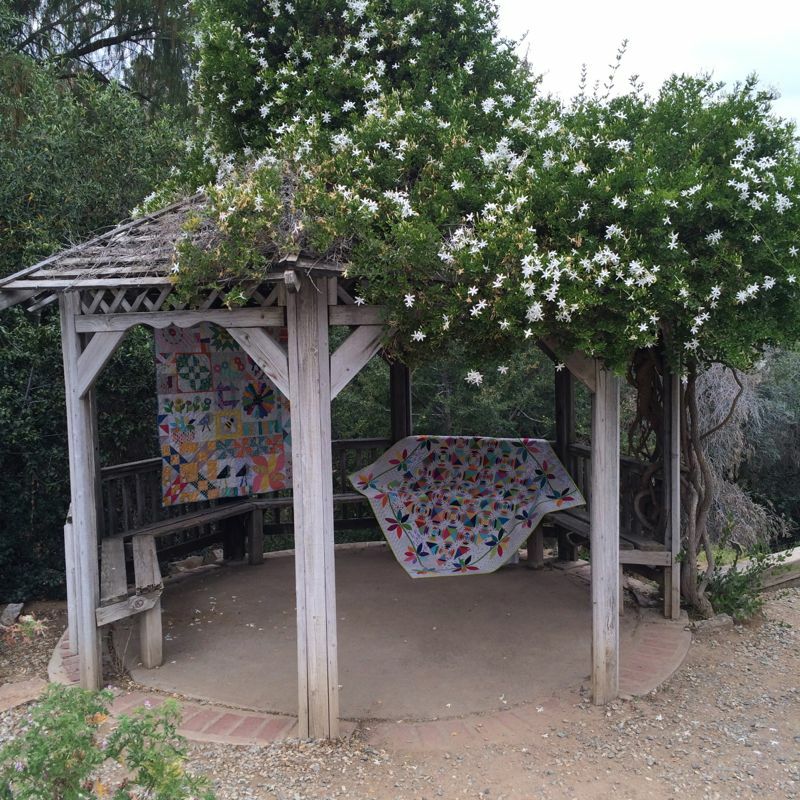 It actually started with my #the100daysof4square project (an offshoot of #the100DayProject) and since I have to come up with four squares of something every day for 100 days, this was what I chose. Maybe it was the color, the interesting half-clamshell that formed a whole clamshell and an apple-core block, I don’t know. 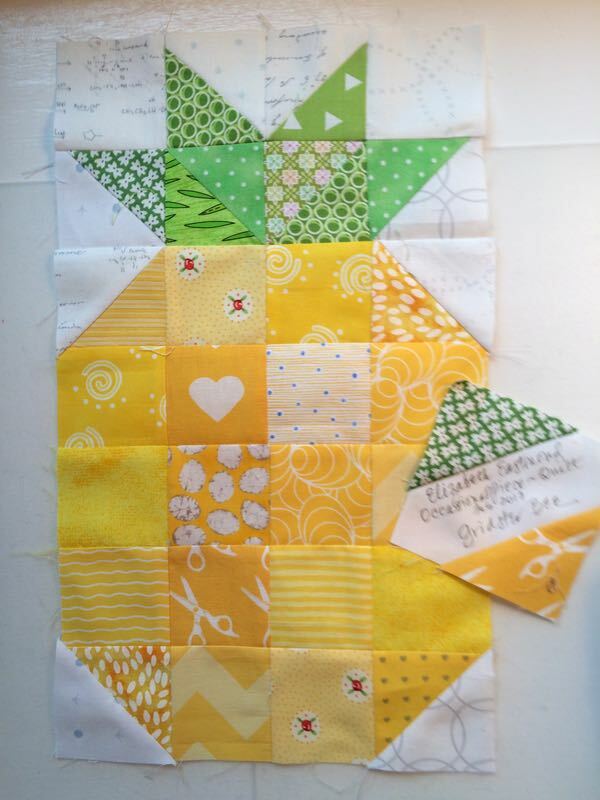 It was just one of those serendipitous moments that made me want to struggle my way through learning how to draw it in EQ7 (I still depend on my trusty QuiltPro, but wanted to become fluent in two quilt languages). I’m also suffering badly from Spring Fever, even worse than my students (which now you know must be nearly a four-alarm alert of Teacher Fatique and Mindlessness), so much suffering that I let them out early today. Again. That’s two days in a row and the kid who went his freshman year at Cornell (but is now back here) looks at me as if something was whack-o, and the kids in the back row just grin from ear-to-ear, even though I had to tell one of them she was on track for a stupendous grade of D, if she didn’t get her Stuff Together and pull it up to a sunny C. Are you surprised when I tell you that she was completely surprised? Didn’t think so. 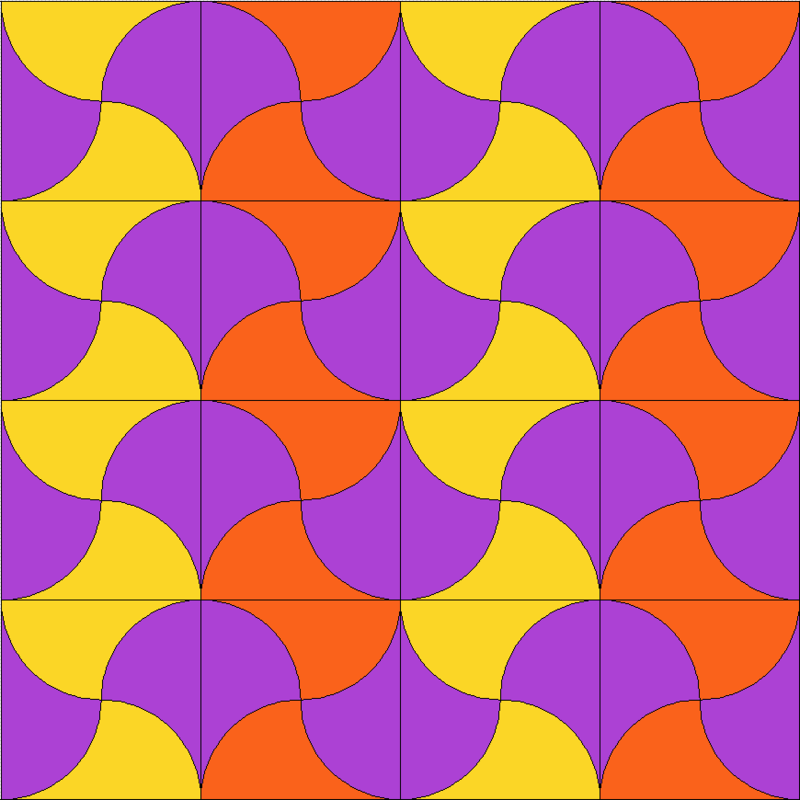 So I just had to do something different tonight rather than think about all of that, and here it is: a free pattern for a six-inch block of the above. Moroccan Tile Block six-inch Have fun. 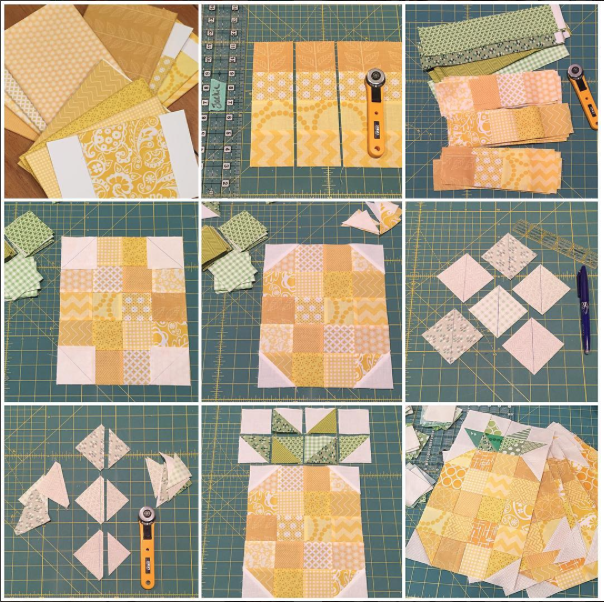 I have not yet made it, but Leanne of SheCanQuilt has a wonderful tutorial, complete with video, on sewing curves, so I’d check over there if I were you. 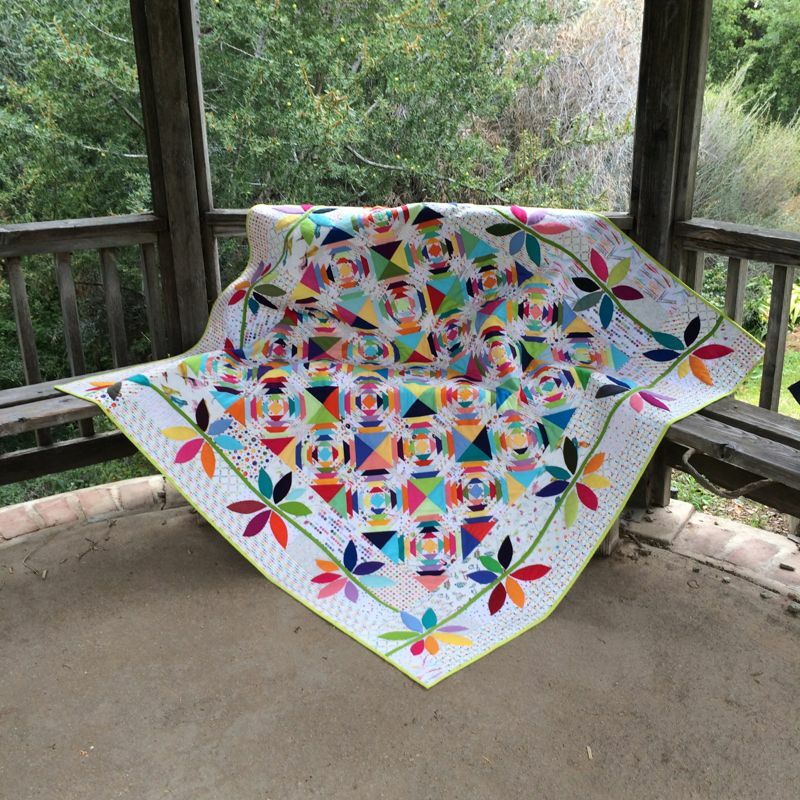 That first picture from JillinItaly’s feed just lit up my wee IG universe (click on the icon on the right to see more), so maybe it’s not the only the fabulousness of the pattern, but also those colors that say Spring Is On Its Way, or if you are in the Southern Hemisphere, it may be saying, You’ve Had a Good Summer, Now It’s Time For Fall, but I’m not really seeing more than those saturated — while also being faded — yummy peaches and golds and magentas. 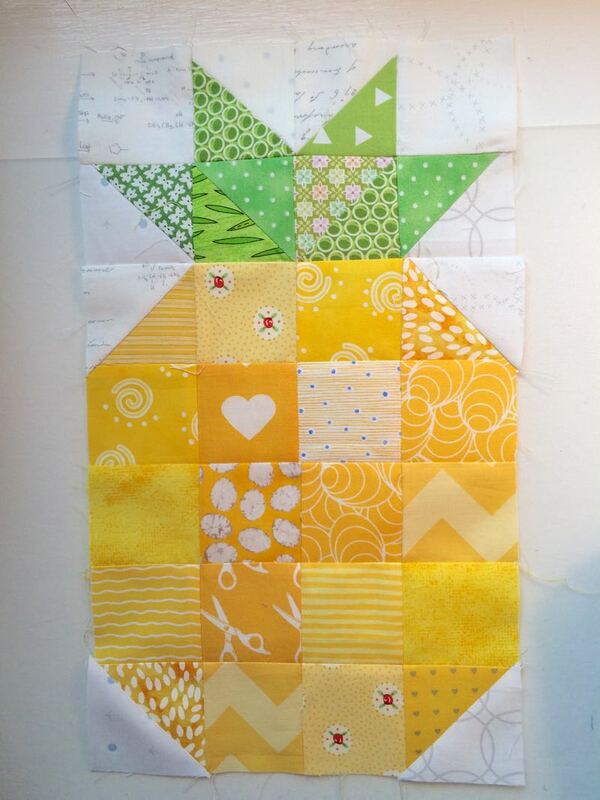 As far as the other project goes, I have not yet keeled over, but am still working steadily on getting it quilted. 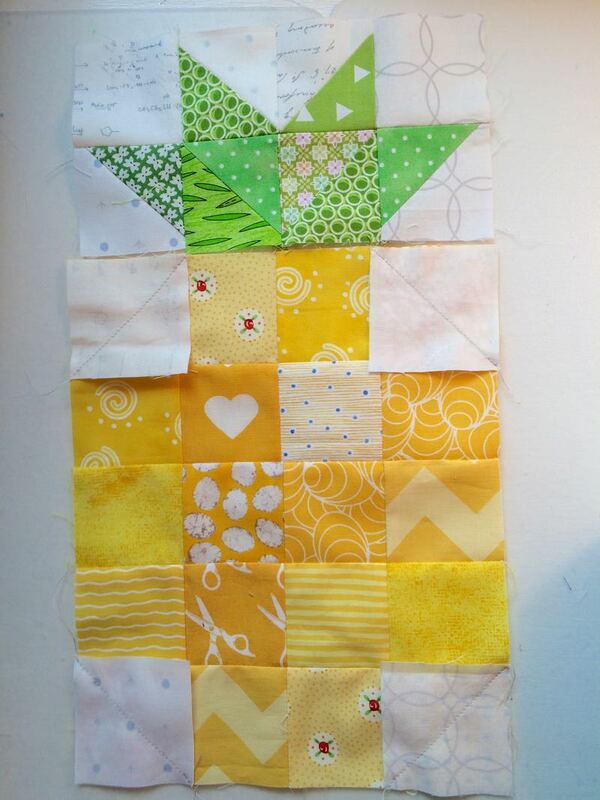 I’ve already ripped out several parts, but I think I know now what I’m doing, so that’s a relief, as any FMQ quilter can tell you. I might just yet make that deadline of Tuesday. Stay tuned. 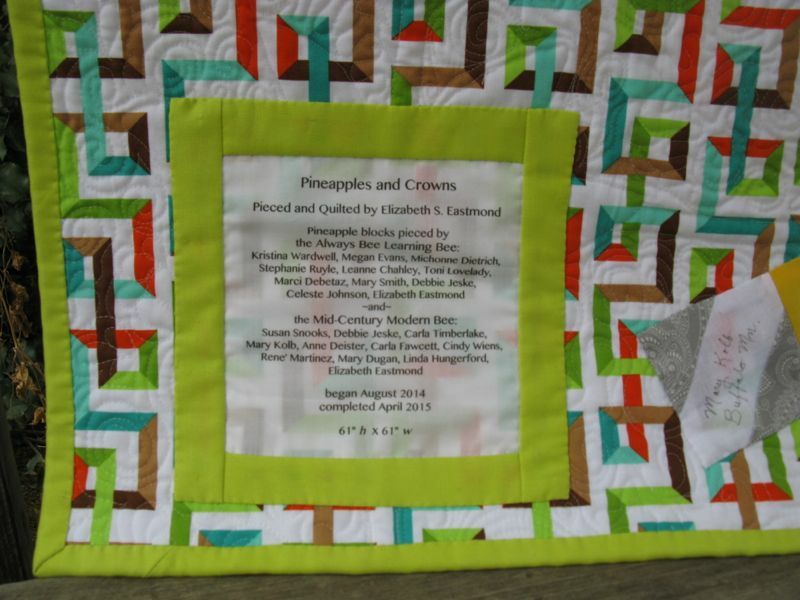 Posted on January 8, 2015 by Elizabeth E.
I laid out all the pineapple blocks on a grey, cloudy, rainy day, but their brightness and color made them fun to work with (Yucky photographs, though.) I thought about all my bee mates and was sending out Good Karma over the universe, thanking them for their work. But how to get a border on this thing? 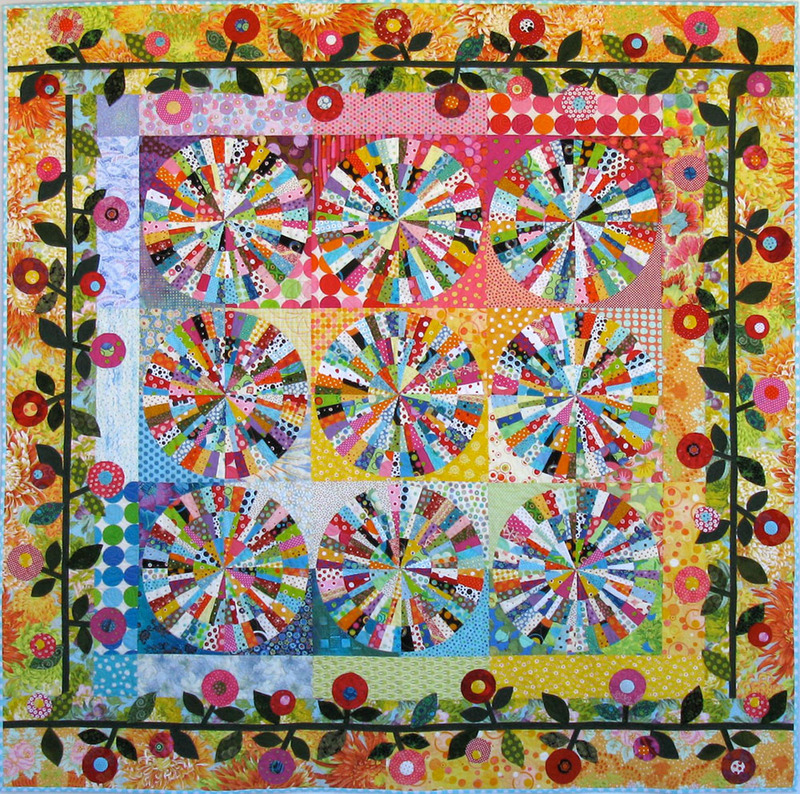 I remembered my other quilt with a bold colorful center, Come A-Round, and decided to mimic that idea. 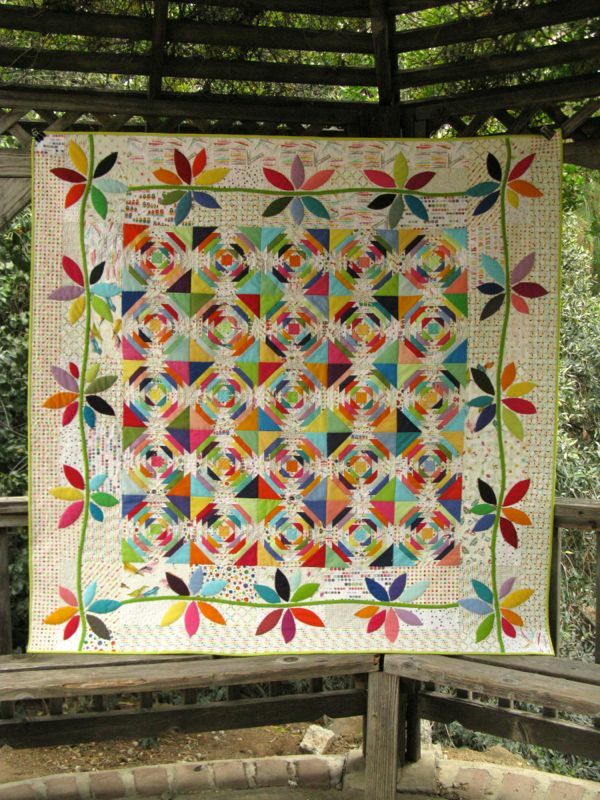 This quilt, designed by the Piece O-Cake ladies, is one of my favorites. 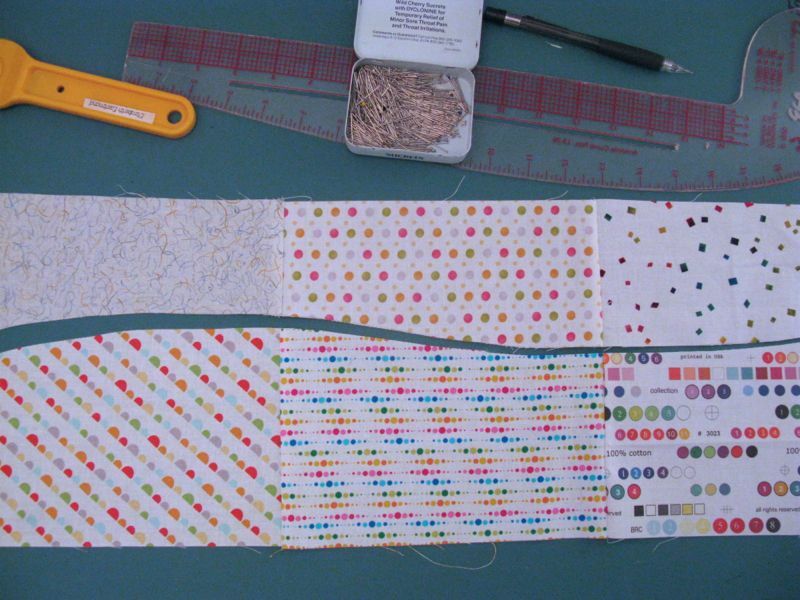 I remembered that they have terrific border ideas, so after a Google search, found Daisies and Dots, a free pattern, which also had a great idea for a border. 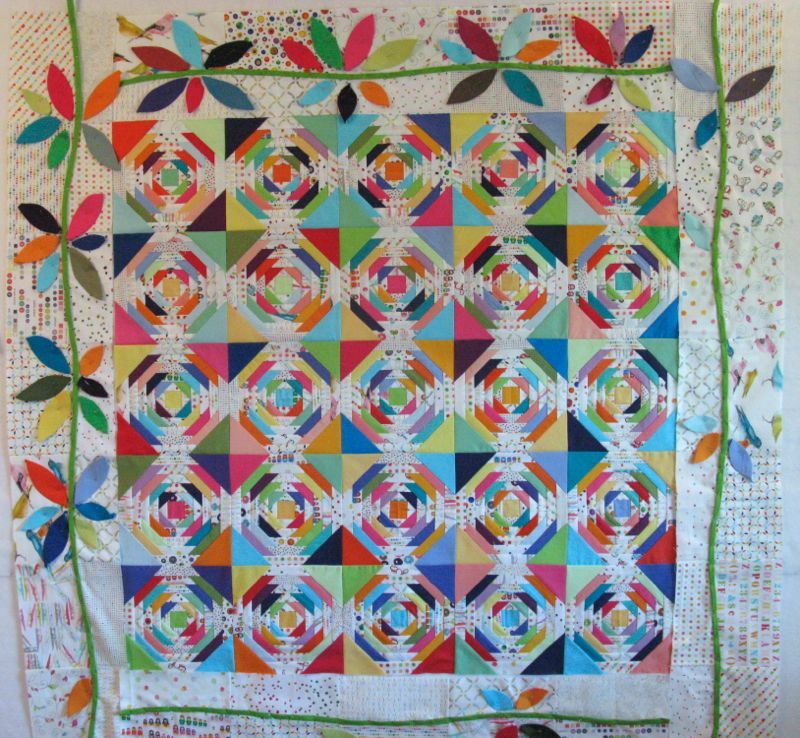 I sewed the border pieces together in two sections, then overlaid them and cut a wavy line with my rotary cutter, freehand. 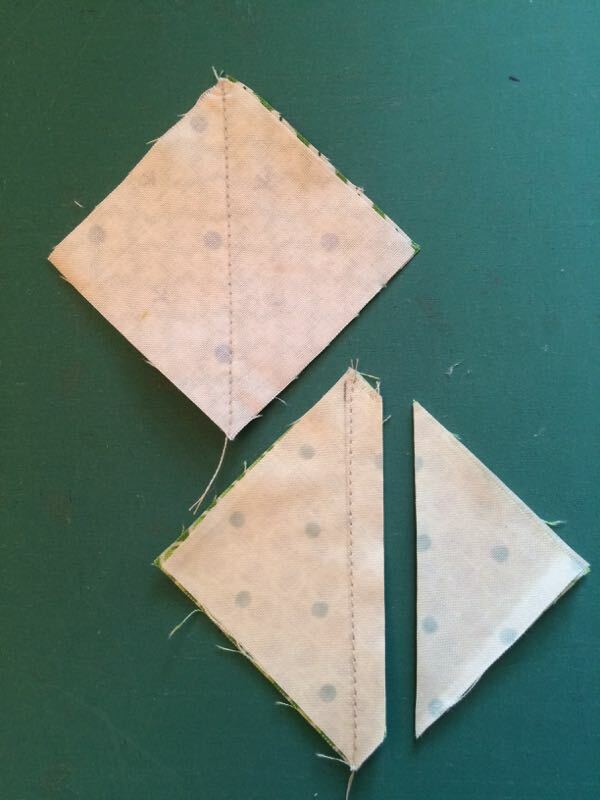 I tried to make sure the seams were kind of matched up. 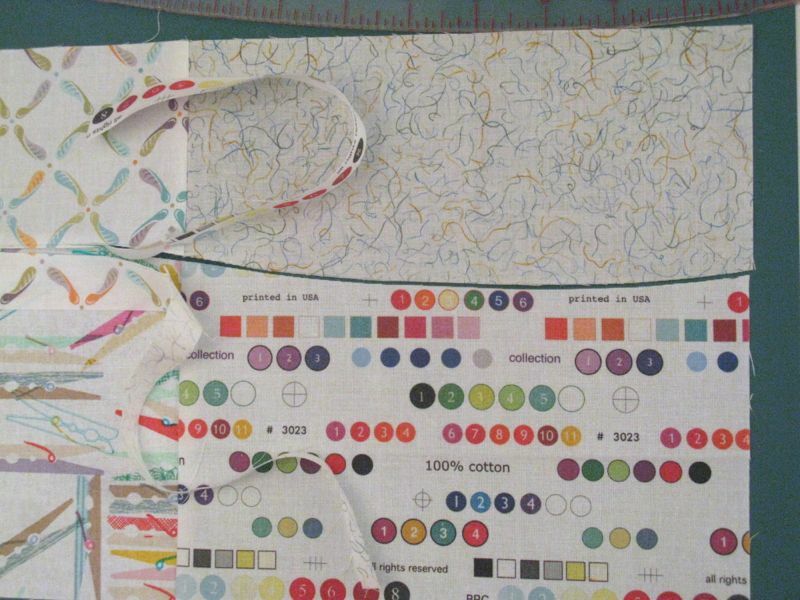 I put RST and matched up those seams and sewed a 1/4″ seam. 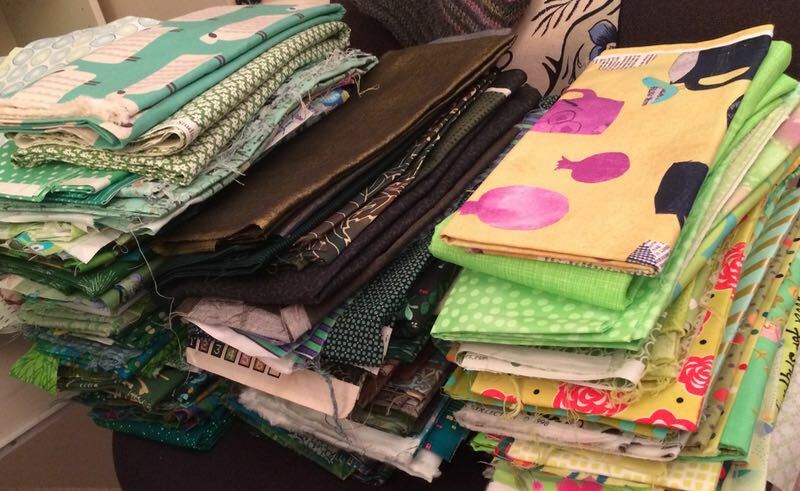 I made gallons of 3/8″ bright green bias tubing and pinned it over the seams. Now to cut the leaves. I thought the free pattern looked a little small for what I wanted. 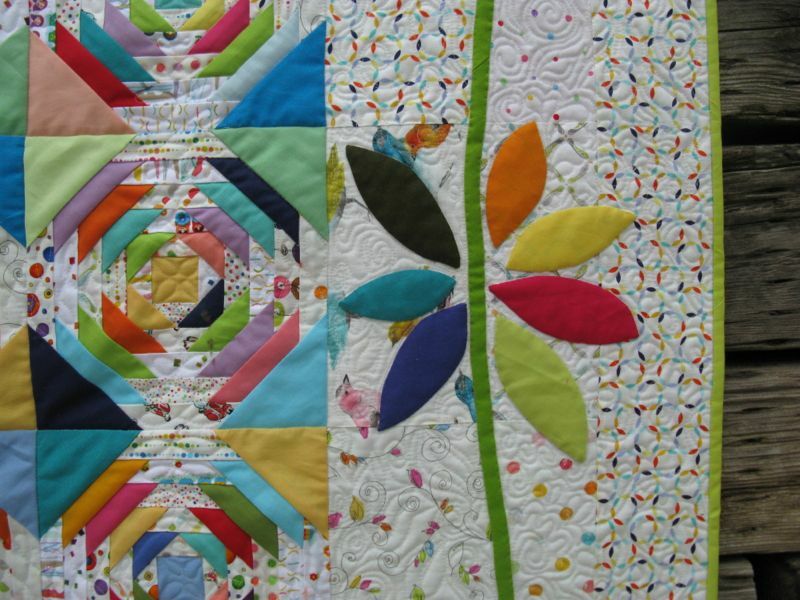 Besides I already had a baggie full of reject leaves from the center of my Colorwheel Blossom quilt, so I started with that leaf, and morphed it down to make five shapes. (I don’t throw away appliqué shapes. Well, hardly ever!) 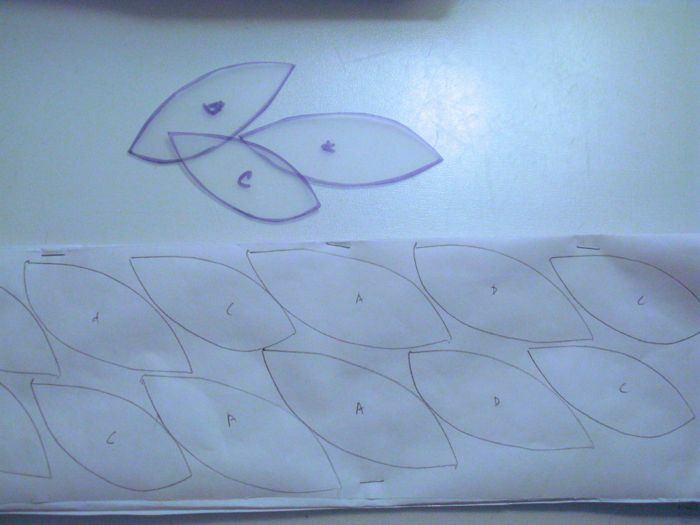 I traced that shape onto plastic, cut out and traced the shapes onto freezer paper, doing it in batches. Then I cut out many colors, using the templates for tracing, and am now ironing the leaves to the freezer paper (shiny side up). And here’s where I am this morning. I had to actually do school work all day yesterday, so didn’t get time to work on this. 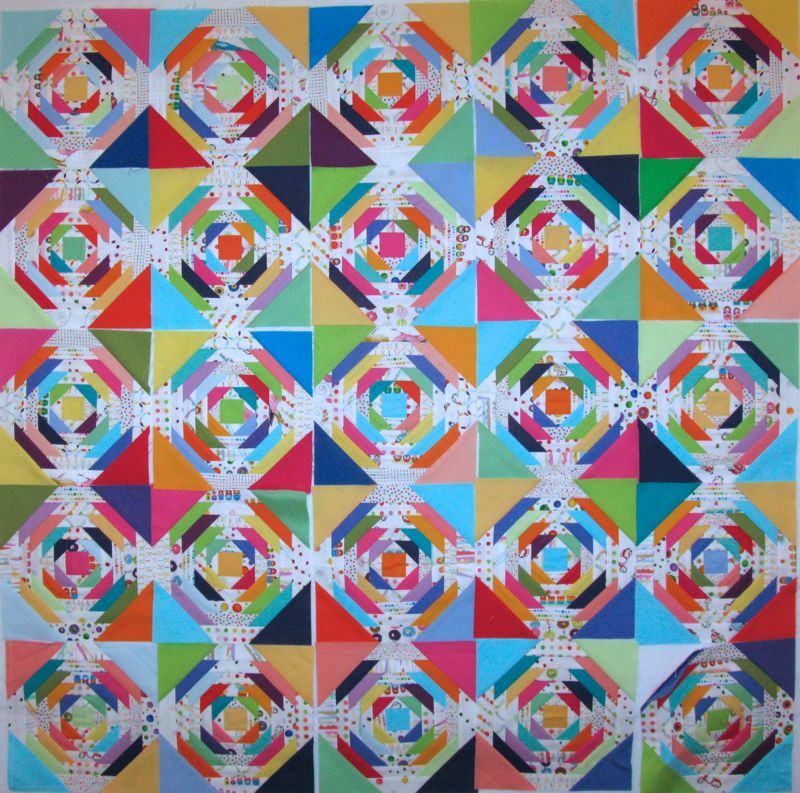 I am just throwing them up there now for “cluster placement,” and plan to do some fine tuning of color, shape and arrangement later. So as you all well know, the Random Number Generator hates me and I hate it. So I went to a different website and entered in all your names, and hit “Pick a Random Name.” Which it did. 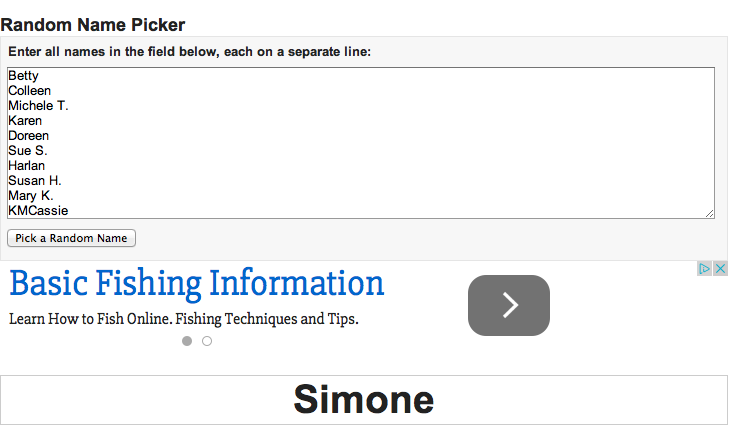 Simone, I’ll be in touch–you are the winner! And thank you all for entering and all your lovely comments. I’m working my way through my email notes and will get them off to you this weekend, after school orientation, syllabus writing and plotting my Course Calendar. 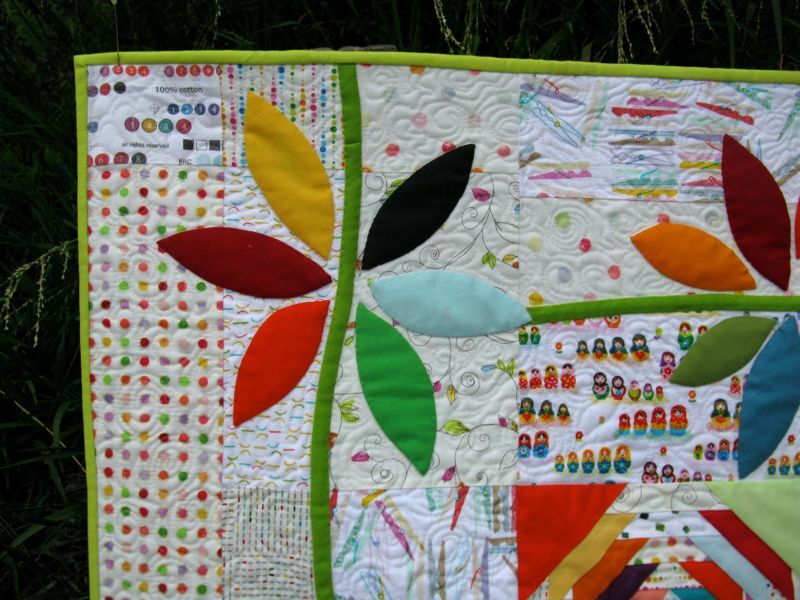 I feel like this quilting community is my real joy and delight in life, in terms of an occupation. 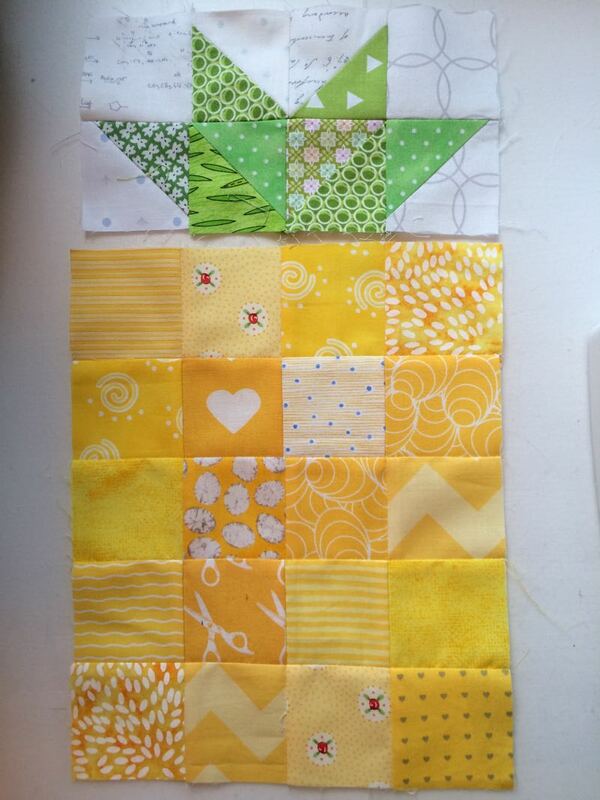 The other one is to get quilt fabric money. Just kidding. I love to teach, and this gearing up at the beginning of the semester is a pretty normal thing for us all to be doing. Hats off to my other teacher-readers out there! 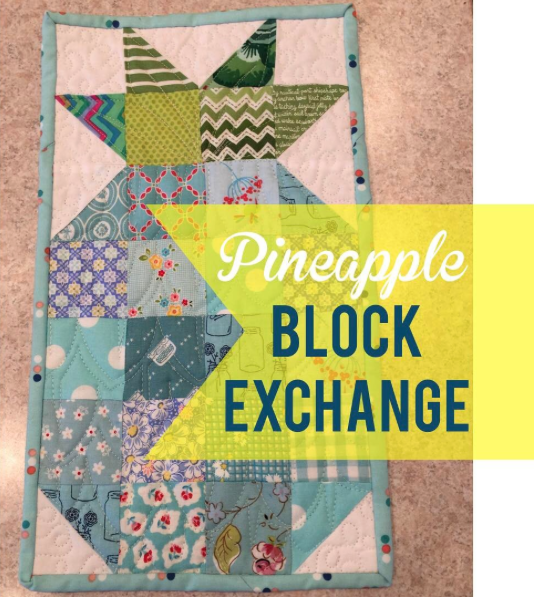 Posted on December 20, 2014 by Elizabeth E.
Before I descend into cooking and cleaning and more cooking and a bunch of dishes and family for Christmas, I thought I’d post all the pineapple blocks together. This is a combined effort of the Always Bee Learning Bee, the Mid-Century Modern Bee, plus a few I whipped up too. I took the papers off the remaining three tonight while watching How To Train Your Dragon 2 (amazing animation), and now I need to vacuum the family room again. 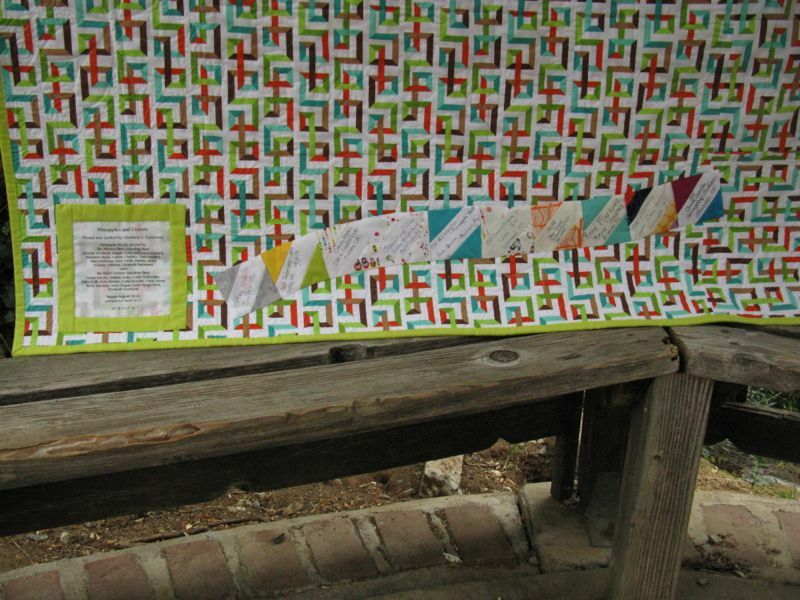 I have more things to add to this quilt, and hope to be working on it over the break. But then again, my life may be like yours, full and lots of the things from the first sentence of this post!